The Sharp SD-NX10 is a mini component audio system with features that are usually seen on audiophile quality systems with a similar price tag. The design of this brushed steel unit is clean and highly contemporary and underlines the fact that this is no ordinary CD and MD player. 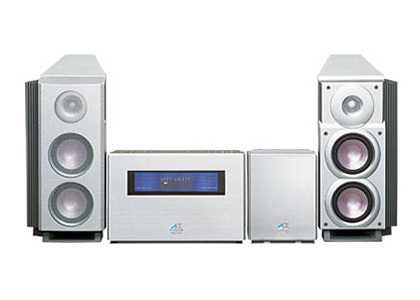 The suggested retail price for this audio system was about $1795 in 2000. Today, one of these gems can be had on eBay for under $200. In terms of audio quality, this unit sounds better than mini-systems from several high-end audio manufacturers. I tested this with 2 sub $600 mini-systems and found the sound rendered by the SD-NX10 to be fuller and richer (I am not an audiophile but I felt this to be the case). I think the ‘Sharp’ name kind of held back this system as people tend to associate Sharp with ‘budget’ audio. The point here is that if you want a quality product at a great price, it sometimes pays to look backwards for great deals.